Hi, my darlings! Is it as hot where you are as it is in New York City? It's almost September and it's over 90 degrees today!! I can't believe it!! Fall is my favorite time of year and I'm impatient to have it start already! 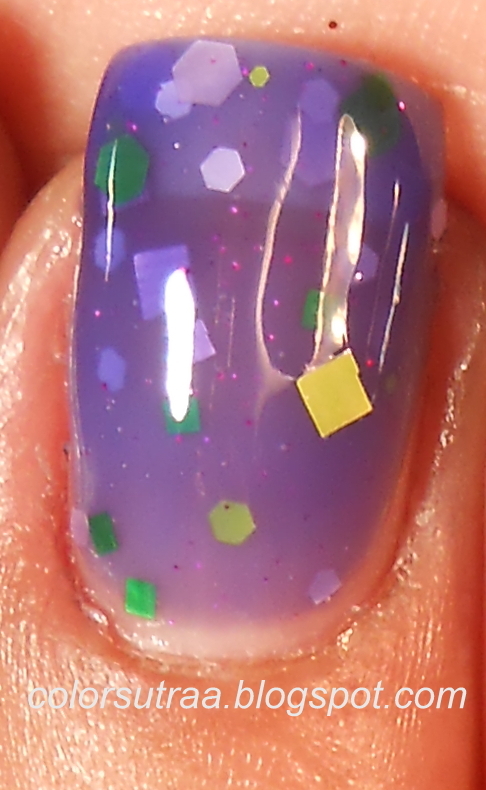 Next, I have another jelly polish for you--Macabre Delight is a blurple jelly polish with neon green and purple glitter in various shapes and sizes. The application on this, again, was great--no fishing for glitter! I used 4 coats for the swatches below, topped with 1 coat of G&G's HK Girl This polish is really quite sheer and next time, I'm definitely gonna layer it over a dark purple creme. 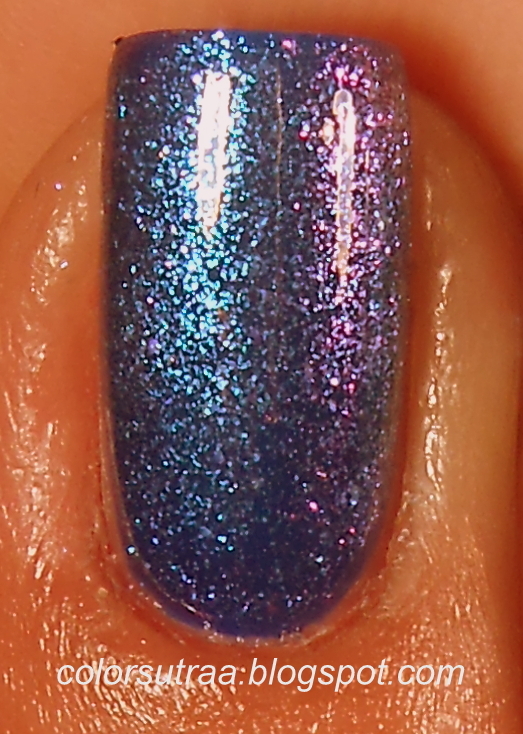 I love, love the hint of shimmer that runs through this polish! Third from this collection is my favorite! 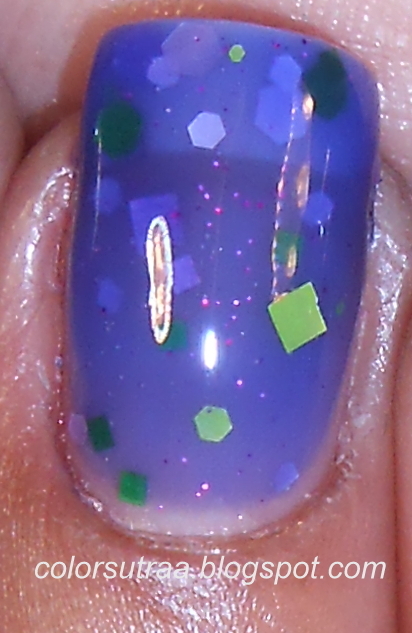 Phantasmagoric is a beautiful teal jelly with a pink-violet-blue color shift! The application and formula for this was fabulous and I used 3 coats for the swatches below, except for my pinky finger where I used 1 coat over 2 coats of Revlon Royal. I absolutely love the way this looks and I bet it would look great layered over other cremes too! 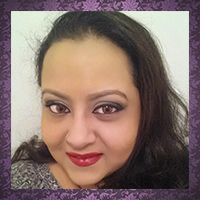 Next up, I have for you Twisted Treat-- a black creme with a coppery-orange shimmer. No complaints about the application and this is just 2 coats in the swatches below! This showed almost a rich dark chocolate brown on me and it's super pretty! 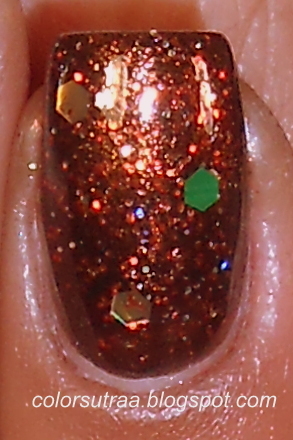 Last but definitely not the least, I have Pumpkinlicious, a clear glitter topcoat with burnt orange, gold and green glitters that's being re-released to complete this collection. 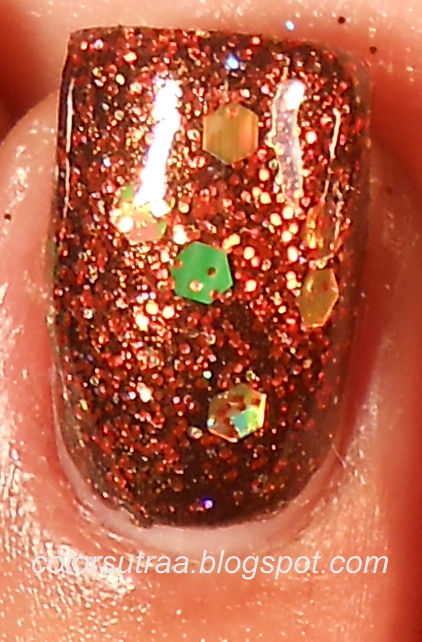 I had no issues with this and the glitters came out easily for me! I used 1 generous coat over Twisted Treat on all my nails, except for the ring finger where I used 2 generous coats. Isn't this just perfect for Fall? 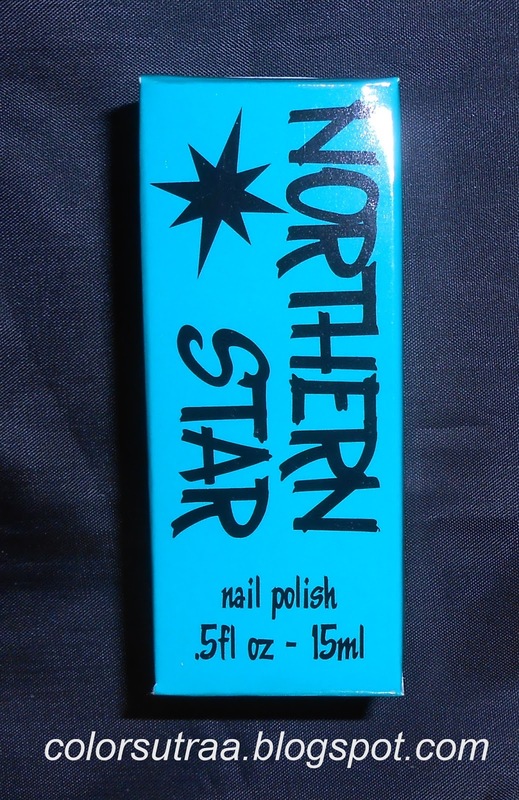 So there you have it--the entire Halloween collection from Northern Star polish! This collection will be released on Sunday, September 15th at noon CST and you can find them HERE for the price of $8.50 for a full-size, 0.5 oz bottle or $5.50 for a fairly large 0.3 oz mini bottle! Which is your favorite from this collection? I'd love to know in the comments section below!